Johnston Atoll, also known as Kalama Atoll to Native Hawaiians, is an unincorporated territory of the United States currently administered by the United States Fish and Wildlife Service. Johnston Atoll is a National Wildlife Refuge and is closed to public entry. Limited access for management needs is only by Letter of Authorization from the U.S. Air Force and Special Use Permit from the U.S. Fish and Wildlife Service. For nearly 70 years, the atoll was under the control of the U.S. military. During that time, it was variously used as a naval refueling depot, an airbase, a nuclear and biological weapons testing site, a secret missile base, and a chemical weapon and Agent Orange storage and disposal site. These activities left the area environmentally contaminated and remediation and monitoring continue. ✪ What are the U.S. Minor Outlying Islands? Hey you guys, it's superify Now before I delve into this video, uh I'd like to apologize for the audio, as it's obviously not optimal, but, um, I will be changing it before the next video, so please bear with me. So, this is the second installment in the series of the USA You Haven't Heard Of, and today we're gonna be talking about Johnston Atoll, which is another small atoll located in the Pacific Ocean. It's actually very interesting though, as it has a very dense history. So, first let's start off on a little bit of the geography. So as you can see from this map, Johnston Atoll is actually comprised of four islands. This includes Johnston Island, Akau Island, Hikina Island, and Sand Island, right in the middle. Now, as you can see, Johnston Island is actually completely taken up by an airstrip. This is evidently because of the fact that transportation is incredibly necessary for the island and its inhabitants. Now, surprisingly, the island hasn't always been the size it is today. Specifically, in 1942, the island was a fourth of the size it is today. This is because of a technique known as coral dredging, When people take coral, and they, basically, mold it to the island, to create a larger island. In fact, both Akau and Hikina Island were both formed by coral dredging alone. Now, let's talk a bit about how Johnston was acquired. Like Palmyra Atoll, Johnston was acquired through the Guano Islands Act of 1856. However, unlike Palmyra, guano was actually found on this island in March 1858. This actually created a motivation for the U.S. to actually annex Johnston Atoll into the U.S., creating a dispute with Hawaii, since Hawaii also claimed the atoll at the time. When Hawaii was annexed into the U.S., the atoll was actually part of Hawaii, however when Hawaii became a state, the atoll was separated, like Palmyra. Surprisingly, Johnston became a National Wildlife Refuge in 1926, until it was transferred over to the military in 1934. This status remained until 2004, when it later became a National Wildlife Refuge again, transferred to the Fish and Wildlife Service. During its time in the military, Johnston Atoll was actually put through a lot of tribulations. For example, eight days after the attack on Pearl Harbor, Johnston Atoll was actually bombed. On December 15, 1941, the atoll was shelled outside the reef by a Japanese submarine. CREDIT TO WIKIPEDIA Johnston was also used as a nuclear weapon test site. For instance, one of the nuclear weapons that was used on Johnston Atoll was called Starfish Prime. This was a 1.4 megaton explosion which disrupted seven satellites, and was able to be seen as far away as Hawaii. This is very interesting as the distance between Hawaii and Johnston Atoll is 860 miles. That's longer than the distance between Chicago and New York City. In 1962 to 1975, a rocket system called PGM 17 Thor, was actually created that had the ability to shoot down satellites. This rocket was actually positioned on Johnston Island, in order to shoot down Russian spy satellites. In 1990 to 2000, the atoll was used to deposit chemical weapons. This has thus been cleaned up, and ever since the population of the atoll has disappeared. Today, Johnston is periodically visited by sailors because of the historical artifacts located on the island. So, that's about it for Johnston Atoll today, if you liked that video, don't forget to hit the like button, and if you'd like to see more, don't forget to subscribe, And I'll see you again in another video. Thanks a lot. The Johnston Atoll is a deserted 1,300-hectare (3,200-acre) atoll in the North Pacific Ocean located about 750 nautical miles (1,390 km; 860 mi) southwest of the island of Hawai'i and is grouped as one of the United States Minor Outlying Islands. The atoll, which is located on a coral reef platform, has four islands. Johnston (or Kalama) Island and Sand Island are both enlarged natural features, while Akau (North) and Hikina (East) are two artificial islands formed by coral dredging. By 1964, dredge and fill operations had increased the size of Johnston Island to 596 acres (241 ha) from its original 46 acres (19 ha), also increased Sand Island from 10 to 22 acres (4.0 to 8.9 ha), and added two new islands, North and East, of 25 and 18 acres (10.1 and 7.3 ha). The unofficial flag of Johnston Atoll was flown below the Stars and Stripes. The double bird holding 4 stars represents both the Air Force and the Fish and Wildlife Service, while the four stars denote the atoll's islands; the white is for coral and the aquamarine for the surrounding ocean. The first Western record of the atoll was on September 2, 1796, when the Boston-based American brig Sally accidentally grounded on a shoal near the islands. The ship's captain, Joseph Pierpont, published his experience in several American newspapers the following year giving an accurate position of Johnston and Sand Island along with part of the reef. However, he did not name or lay claim to the area, which the local tribes referred to as "iwi poʻo mokupuni". The islands were not officially named until Captain Charles J. Johnston of the Royal Naval ship HMS Cornwallis sighted them on December 14, 1807. The Guano Islands Act, enacted on August 18, 1856, was federal legislation passed by the U.S. Congress that enabled citizens of the U.S. to take possession of islands containing guano deposits. In 1858, William Parker and R. F. Ryan chartered the schooner Palestine specifically to find Johnston Atoll. They located guano on the atoll in March 1858 and proceeded to claim the island. By 1858, Johnston Atoll was claimed by both the United States and the Kingdom of Hawaii. In June 1858, Samuel Allen, sailing on the Kalama, tore down the U.S. flag and raised the Hawaiian flag, renaming the atoll Kalama. The larger island was renamed Kalama Island, and the nearby smaller island was called Cornwallis. Returning on July 27, 1858, the Captain of the Palestine again hoisted the American flag and reasserted the rights of the United States. The same day, the atoll was declared part of the domain of King Kamehameha IV. On this visit, however, the Palestine left two crew members on the island to gather phosphate. While Palestine was at the atoll and these two men were still on the island, a July 27, 1858 proclamation of Kamehameha IV declared the annexation of this island to Hawaii, stating that it was "derelict and abandoned." However, later that year King Kamehameha revoked the lease granted to Samuel Allen when the King learned that the atoll had been claimed previously by the United States. However, this did not prevent the Hawaiian Territory from making use of the Atoll or asserting ownership. By 1890, the atoll's guano deposits had been almost entirely depleted (mined out) by U.S. interests operating under the Guano Islands Act. In 1892, HMS Champion made a survey and map of the island, hoping that it might be suitable as a telegraph cable station. On January 16, 1893, the Hawaiian Legation at London reported a diplomatic conference over this temporary occupation of the island. However, the Kingdom of Hawaii was overthrown on January 17, 1893. When Hawaii was annexed by the United States in 1898, during the Spanish–American War, the name of Johnston Island was omitted from the list of Hawaiian Islands. [citation needed] On September 11, 1909, Johnston was leased by the Territory of Hawaii to a private citizen for fifteen years. A board shed was built on the southeast side of the larger island, and a small tramline run up onto the slope of the low hill, to facilitate the removal of guano. Apparently neither the quantity nor the quality of the guano was sufficient to pay for gathering it, so that the project was soon abandoned. The Tanager Expedition was a joint expedition, sponsored by the U.S. Department of Agriculture and the Bishop Museum of Hawaii, which visited the Atoll in 1923. The expedition to the atoll consisted of two teams accompanied by destroyer convoys, with the first departing Honolulu on July 7, 1923 aboard the USS Whippoorwill, which conducted the first survey of Johnston Island in the 20th century. Aerial survey and mapping flights over Johnston were conducted with a Douglas DT-2 floatplane carried on her fantail, which was hoisted into the water for takeoff. From July 10–22, 1923, the atoll was recorded in a pioneering aerial photography project. The USS Tanager left Honolulu on July 16 and joined up with the Whippoorwill to complete the survey and then traveled to Wake Island to complete surveys there. Tents were pitched on the southwest beach of fine white sand, and a rather thorough biological survey was made of the island. Hundreds of sea birds, of a dozen kinds, were the principal inhabitants, together with lizards, insects, and hermit crabs. The reefs and shallow water abounded with fish and other marine life. On June 29, 1926, by Executive Order 4467, President Calvin Coolidge established Johnston Island Reservation as a federal bird refuge and placed it under the control of the U.S. Department of Agriculture, as a "refuge and breeding ground for native birds." Johnston Atoll was added to the United States National Wildlife Refuge system in 1926, and renamed the Johnston Island National Wildlife Refuge in 1940. The Johnston Atoll National Wildlife Refuge was established to protect the tropical ecosystem and the wildlife that it harbors. However, the Department of Agriculture had no ships, and the Navy was interested in the Atoll for strategic reasons, so with Executive Order 6935 on December 29, 1934, President Franklin D. Roosevelt placed the islands under the "control and jurisdiction of the Secretary of the Navy for administrative purposes," but subject to use as a refuge and breeding ground for native birds, under the Department of Interior. On February 14, 1941, President Franklin Roosevelt issued Executive Order 8682 to create naval defense areas in the central Pacific territories. The proclamation established "Johnston Island Naval Defensive Sea Area" which encompassed the territorial waters between the extreme high-water marks and the three-mile marine boundaries surrounding the atoll. "Johnston Island Naval Airspace Reservation" was also established to restrict access to the airspace over the naval defense sea area. Only U.S. government ships and aircraft were permitted to enter the naval defense areas at Johnston unless authorized by the Secretary of the Navy. After the military mission on the island ended in 2004, the Atoll was administered by the Pacific Remote Islands National Wildlife Refuge Complex. The outer islets and water rights were managed cooperatively by the Fish and Wildlife Service, with some of the actual Johnston Island land mass remaining under control of the United States Air Force (USAF) for environmental remediation and the Defense Threat Reduction Agency (DTRA) for plutonium cleanup purposes. However, on January 6, 2009, under authority of section 2 of the Antiquities Act, the Pacific Remote Islands Marine National Monument was established by President George W. Bush to administer and protect Johnston Island along with six other Pacific islands. The national monument includes Johnston Atoll National Wildlife Refuge within its boundaries and contains 696 acres (2.82 km2) of land and over 800,000 acres (3,200 km2) of water area. The Administration of Barack Obama in 2014 extended the protected area to encompass the entire Exclusive Economic Zone, by banning all commercial fishing activities. Under a 2017 review of all national monuments extended since 1996, Secretary of the Interior Ryan Zinke has recommended to permit fishing outside the 12-mile limit. On December 29, 1934, President Franklin D. Roosevelt with Executive Order 6935 transferred control of Johnston Atoll to the United States Navy under the 14th Naval District, Pearl Harbor, in order to establish an air station, and also to the Department of the Interior to administer the bird refuge. In 1948, the USAF assumed control of the Atoll. During the Operation Hardtack nuclear test series from April 22 to August 19, 1958, administration of Johnston Atoll was assigned to the Commander of Joint Task Force 7. After the tests were completed, the island reverted to the command of the US Air Force. From 1963 to 1970, the Navy's Joint Task force 8 and the Atomic Energy Commission (AEC) held joint operational control of the island during high-altitude nuclear testing operations. In 1970, operational control was handed back to the Air Force until July 1973, when Defense Special Weapons Agency was given host-management responsibility by the Secretary of Defense. Over the years, sequential descendant organizations have been the Defense Atomic Support Agency (DASA) from 1959 to 1971, the Defense Nuclear Agency (DNA) from 1971 to 1996, and the Defense Special Weapons Agency (DSWA) from 1996 to 1998. In 1998, Defense Special Weapons Agency, and selected elements of the Office of Secretary of Defense were combined to form the Defense Threat Reduction Agency (DTRA). In 1999, host-management responsibility transferred from the Defense Threat Reduction Agency once again to the Air Force until the Air Force mission ended in 2004 and the base was closed. In 1935, personnel from the US Navy's Patrol Wing Two carried out some minor construction to develop the atoll for seaplane operation. In 1936, the Navy began the first of many changes to enlarge the atoll's land area. They erected some buildings and a boat landing on Sand Island and blasted coral to clear a 3,600 feet (1,100 m) seaplane landing. Several seaplanes made flights from Hawaii to Johnston, such as that of a squadron of six aircraft in November, 1935. On May 26, 1942, a United States Navy Consolidated PBY-5 Catalina wrecked at Johnston Atoll. The Catalina pilot made a normal power landing and immediately applied throttle for take-off. At a speed of about fifty knots the plane swerved to the left and then continued into a violent waterloop. The hull of the plane was broken open and the Catalina sank immediately. After the war on March 27, 1949, a PBY-6A Catalina had to make a forced landing during flight from Kwajalein to Johnston Island. The plane was damaged beyond repair and the crew of 11 was rescued nine hours later by a Navy ship which sank the plane by gunfire. During 1958, a proposed support agreement for Navy Seaplane operations at Johnston Island was under discussion though it was never completed because a requirement for the operation failed to materialize. By September 1941, construction of an airfield on Johnston Island commenced. A 4,000-foot (1,200 m) by 500-foot (150 m) runway was built together with two 400-man barracks, two mess halls, a cold-storage building, an underground hospital, a fresh-water plant, shop buildings, and fuel storage. The runway was complete by December 7, 1941, though in December 1943 the 99th Naval Construction Battalion arrived at the atoll and proceeded to lengthen the runway to 6,000 feet (1,800 m). The runway was subsequently lengthened and improved as the island was enlarged. During WWII Johnston Atoll was used as a refueling base for submarines, and also as an aircraft refueling stop for American bombers transiting the Pacific Ocean, including the Boeing B-29 Enola Gay. By 1944, the atoll was one of the busiest air transport terminals in the Pacific. Air Transport Command aeromedical evacuation planes stopped at Johnston en route to Hawaii. Following V-J Day on August 14, 1945, Johnston Atoll saw the flow of men and aircraft that had been coming from the mainland into the Pacific turn around. By 1947, over 1,300 B-29 and B-24 bombers had passed through the Marianas, Kwajalein, Johnston Island, and Oahu en route to Mather Field and civilian life. Following WWII, Johnston Atoll Airport was used commercially by Continental Air Micronesia, touching down between Honolulu and Majuro. When an aircraft landed it was surrounded by armed soldiers and the passengers were not allowed to leave the aircraft. Aloha Airlines also made weekly scheduled flights to the island carrying civilian and military personnel; in the 1990s there were flights almost daily, and some days saw up to 3 arrivals. Just prior to movement of the chemical munitions to Johnston Atoll, the Surgeon General, Public Health Service, reviewed the shipment and the Johnston Atoll storage plans. His recommendations caused the Secretary of Defense in December 1970 to issue instructions suspending missile launches and all non-essential aircraft flights. As a result, Air Micronesia service was immediately discontinued, and missile firings were terminated with the exception of two 1975 satellite launches deemed critical to the island's mission. In February 1941 Johnston Atoll was designated as a Naval Defensive Sea Area and Airspace Reservation. On the day the Japanese struck Pearl Harbor, December 7, 1941, USS Indianapolis was out of her home port of Pearl Harbor, to make a simulated bombardment at Johnston Island. Japan's strike at Pearl Harbor occurred as the ship was unloading marines, civilians and stores on the atoll. On December 15, 1941, the atoll was shelled outside the reef by a Japanese submarine, which had been part of the attack on Pearl Harbor eight days earlier. Several buildings including the power station were hit, but no personnel were injured. Additional Japanese shelling occurred on December 22 and 23, 1941. On all occasions, Johnston Atoll's coastal artillery guns returned fire, driving off the sub. In July 1942, the civilian contractors at the atoll were replaced by 500 men from the 5th and 10th Naval Construction Battalions, who expanded the fuel storage and water production at the base and built additional facilities. The 5th Battalion departed in January 1943. In December 1943 the 99th Naval Construction Battalion arrived at the atoll and proceeded to lengthen the runway to 6,000 feet (1,800 m) and add an additional 10 acres (4.0 ha) of parking to the seaplane base. On January 25, 1957, the Department of Treasury was granted a 5-year permit for the United States Coast Guard (USCG) to operate and maintain a Long Range Aid to Navigation (LORAN) transmitting station on Johnston Atoll. Two years later in December 1959, the Secretary of Defense approved the Secretary of the Treasury's request to use Sand Island for U.S. Coast Guard LORAN A and C station sites. The USCG was granted permission to install a LORAN A and C station on Sand Island to be manned by U.S. Coast Guard personnel through June 30, 1992. The permit for a LORAN station to operate on Johnston Island was terminated in 1962. On November 1, 1957, a new United States Coast Guard LORAN-A station was commissioned. By 1958, the Coast Guard LORAN Station at Sand Island began transmitting on a 24-hour basis, thus establishing a new LORAN rate in the Central Pacific. The new rate between Johnston Island and French Frigate Shoals gave a higher order of accuracy for fixing positions in the steamship lanes from Oahu, Hawaii, to Midway Island. In the past, this was impossible in some areas along this important shipping route. The U.S. Coast Guard LORAN-A Station on Sand Island ceased transmitting on June 30, 1961 when the station began transmitting from the LORAN-C station and was using a larger 625-foot antenna by 1979. Between 1958 and 1975, Johnston Atoll was used as an American national nuclear test site for atmospheric and extremely high-altitude nuclear explosions in outer space. In 1958, Johnston Atoll was the location of the two "Hardtack I" nuclear tests firings. One on August 1, 1958, was codenamed "Hardtack Teak", and one on August 12, 1958 was codenamed "Orange", and both tests detonated 3.8-megaton hydrogen bombs launched to high altitudes by rockets from Johnston Atoll. Johnston Island was also used as the launch site of 124 sounding rockets going up as high as 1,158 kilometers (720 miles). These carried scientific instruments and telemetry equipment, either in support of the nuclear bomb tests, or in experimental antisatellite technology. Eight PGM-17 Thor missiles deployed by the U.S. Air Force (USAF), were launched from Johnston Island in 1962 as part of "Operation Fishbowl", a part of "Operation Dominic" nuclear weapons tests in the Pacific. The first launch in "Operation Fishbowl" was a successful research and development launch with no warhead. In the end, "Operation Fishbowl" produced four successful high-altitude detonations: "Starfish Prime", "Checkmate", "Bluegill Triple Prime", and "Kingfish". In addition, it produced one atmospheric nuclear explosion, "Tightrope." One of these, "Starfish Prime" on July 9, 1962, had a 1.4-megaton explosion, using a W49 warhead at an altitude of about 400 kilometers (250 miles). It created a very brief fireball visible over a wide area, and also bright artificial auroras that were visible for several minutes in Hawaii. "Starfish Prime" also produced an electromagnetic pulse that disrupted some electric power and communication systems in Hawaii. It also pumped enough radiation into the Van Allen belts to destroy or damage seven satellites in orbit. "At Johnston Island, there was an intense white flash. Even with high-density goggles, the burst was too bright to view, even for a few seconds. A distinct thermal pulse was also felt on the bare skin. A yellow-orange disc was formed, which transformed itself into a purple doughnut. A glowing purple cloud was faintly visible for a few minutes." The nuclear yield was reported in most official documents only as being "less than 20 kilotons". One report by the U.S. Government reported the yield of the "Tightrope" test as 10 kilotons. Seven sounding rockets were launched from Johnston Island in support of the Tightrope test, and this was the final American nuclear atmospheric test. The failure of the "Bluegill" launch created in effect a dirty bomb but did not release the nuclear warhead's plutonium debris onto Johnston Atoll as the missile fell into the ocean south of the island and was not recovered. However, the "Starfish", "Bluegill Prime", and "Bluegill Double Prime" test launch failures in 1962 scattered radioactive debris over Johnston Island contaminating it, the lagoon, and Sand Island with plutonium for decades. "Starfish", a high altitude Thor launched nuclear test scheduled for June 20, 1962, was the first to contaminate the atoll. The rocket with the 1.45-megaton Starfish device (W49 warhead and the MK-4 Re-entry vehicle) on its nose was launched that evening, but the Thor missile engine cut out only 59 seconds after launch. The range safety officer sent a destruct signal 65 seconds after launch, and the missile was destroyed at approximately 10.6 kilometers (6.6 miles) altitude. The warhead high explosive detonated in 1-point safe fashion, destroying the warhead without producing nuclear yield. Large pieces of the plutonium contaminated missile including pieces of the warhead, booster rocket, engine, re-entry vehicle and missile parts fell back on Johnston Island. More wreckage along with plutonium contamination was found on nearby Sand Island. "Bluegill Prime," the second attempt to launch the payload which failed last time was scheduled for 23:15 (local) on July 25, 1962. It too was a genuine disaster and caused the most serious plutonium contamination on the island. The Thor missile was carrying one pod, two re-entry vehicles and the W50 nuclear warhead. The missile engine malfunctioned immediately after ignition, and the range safety officer fired the destruct system while the missile was still on the launch pad. The Johnston Island launch complex was demolished in the subsequent explosions and fire which burned through the night. The launch emplacement and portions of the island were contaminated with radioactive plutonium spread by the explosion, fire and wind-blown smoke. On October 15, 1962 the "Bluegill Double Prime" test also misfired. During the test, the rocket was destroyed at a height of 109,000 feet after it malfunctioned 90 seconds into the flight. U.S. Defense Department officials confirm that when the rocket was destroyed, it contributed to the radioactive pollution on the island. In 1963, the U.S. Senate ratified the Limited Test Ban Treaty, which contained a provision known as "Safeguard C". Safeguard C was the basis for maintaining Johnston Atoll as a "ready to test" above-ground nuclear testing site should atmospheric nuclear testing ever be deemed to be necessary again. In 1993, Congress appropriated no funds for the Johnston Atoll "Safeguard C" mission, bringing it to an end. Program 437 turned the PGM-17 Thor into an operational anti-satellite (ASAT) weapon system, a capability that was kept top secret even after it was deployed. The Program 437 mission was approved for development by U.S. Secretary of Defense Robert McNamara on November 20, 1962 and based at the Atoll. Program 437 used modified Thor missiles that had been returned from deployment in Great Britain and was the second deployed U.S. operational nuclear anti-satellite operation. Eighteen more suborbital Thor launches took place from Johnston Island during the 1964–1975 period in support of Program 437. In 1965–1966 four Program 437 Thors were launched with 'Alternate Payloads' for satellite inspection. This was evidently an elaboration of the system to allow visual verification of the target before destroying it. These flights may have been related to the late 1960s Program 922, a non-nuclear version of Thor with infrared homing and a high-explosive warhead. Thors were kept positioned and active near the two Johnston Island launch pads after 1964. However, partly because of the Vietnam War, in October 1970 the Department of Defense had transferred Program 437 to standby status as an economic measure. The Strategic Arms Limitation Talks led to Anti-Ballistic Missile Treaty that prohibited 'interference with national means of verification', which meant that ASAT's were not allowed, by treaty, to attack Russian spy satellites. Thors were removed from Johnston Atoll and were stored in mothballed war-reserve condition at Vandenberg Air Force Base from 1970 until the anti-satellite mission of Johnston Island facilities was ceased on August 10, 1974, and the program was officially discontinued on April 1, 1975, when any possibility of restoring the ASAT program was finally terminated. Eighteen Thor launches in support of the Program 437 Alternate Payload (AP) mission took place from Johnston Atoll's Launch emplacements. The Space Detection and Tracking System or SPADATS was operated by North American Aerospace Defense Command (NORAD) along with the U.S. Air Force Spacetrack system, The Navy Space Surveillance System and Canadian Forces Air Defense Command Satellite Tracking Unit. The Smithsonian Astrophysical Observatory also operated a dozen 3.5 ton Baker-Nunn Camera systems (none at Johnston) for cataloging of man-made satellites. The U.S. Air Force had ten Baker-Nunn camera stations around the world mostly from 1960 to 1977 with a phase-out beginning in 1964. The Baker-Nunn space camera station was constructed on Sand Island and was functioning by 1965. USAF 18th Surveillance Squadron operated the Baker-Nunn camera at a station built along the causeway on Sand Island until 1975 when a contract to operate the four remaining Air Force stations was awarded to Bendix Field Engineering Corporation. In about 1977, the camera at Sand Island was moved to Daegu, South Korea. Baker-Nunn were rendered obsolete with the IOC of 3 GEODSS optical tracking sites at Daegu, Korea; Mount Haleakala, Maui and White Sands Missile Range. A fourth site was operational in 1985 at Diego Garcia and a proposed fifth site in Portugal was cancelled. The Daegu, Korea site was closed due to encroaching city lights. GEODSS tracked satellites at night, though the MIT Lincoln Laboratory test site, co-located with Site 1 at White Sands did track asteroids in daytime as proof of concept in the early 1980s. Satellite and Missile Observation System Project (SAMOS-E) or "E-6" was a relatively short-lived series of United States visual reconnaissance satellites in the early 1960s. SAMOS was also known by the unclassified terms Program 101 and Program 201. The Air Force program was used as a cover for the initial development of the Central Intelligence Agency's Key Hole (including Corona and Gambit) reconnaissance satellites systems. Imaging was performed with film cameras and television surveillance from polar low Earth orbits with film canisters returning via capsule and parachute with mid-air retrieval. SAMOS was first launched in 1960, but not operational until 1963 with all of the missions being launched from Vandenberg AFB. During the early months of the SAMOS program it was essential not only to hide the Corona and GAMBIT technical efforts under a screen of SAMOS activity, but also to make the orbital vehicle portions of the two systems resemble one another in outward appearance. Thus, some of the configuration details of SAMOS were decided less by engineering logic than by the need to camouflage GAMBIT and thus, in theory, a GAMBIT could be launched without alerting many people to its real nature. Problems relative to tracking networks, communications, and recovery were resolved with the decision in late February 1961 to use Johnston Island as the film capsule descent and recovery zone for the program. On July 10, 1961 work was initiated on four buildings of the Johnston Island Recovery Operations Center for the National Reconnaissance Office. Men from the Johnston Atoll facility would recover the parachuting film canister capsules with a radar equipped JC-130 aircraft by capturing them in the air with a specialized recovery apparatus. The recovery center was also responsible for collecting the radioactive scientific data pods dropped from missiles following launch and nuclear detonation. In the lead up to biological warfare testing in the Pacific under Project 112 and Project SHAD, a new virus was discovered during the Pacific Ocean Biological Survey Program by teams from the Smithsonian's Division of Birds aboard a U.S Army tugboat involved in the program. Initially, the name of that effort was to be called the Pacific Ornithological Observation Project but this was changed for obvious reasons. First isolated in 1964 the tick-borne virus was discovered in Ornithodoros capensis ticks, found in a nest of common noddy (Anous stolidus) at Sand Island, Johnston Atoll. 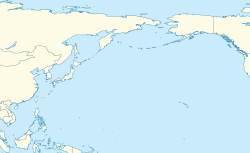 It was designated Johnston Atoll Virus and is related to influenza. In February, March, and April 1965 Johnston Atoll was used to launch biological attacks against U.S. Army and Navy vessels 100 miles (160 km) south-west of Johnston island in vulnerability, defense and decontamination tests conducted by the Deseret Test Center during Project SHAD under Project 112. Test DTC 64-4 (Deseret Test Center) was originally called "RED BEVA" (Biological EVAluation) though the name was later changed to "Shady Grove", likely for operational security reasons. The biological agents released during this test included Francisella tularensis (formerly called Pasteurella tularensis) (Agent UL), the causative agent of Tularemia; Coxiella burnetii (Agent OU), causative agent of Q fever; and Bacillus globigii (Agent BG). During Project SHAD, Bacillus globigii was used to simulate biological warfare agents (such as Anthrax), because it was then considered a contaminant with little health consequence to humans; however, it is now considered a human pathogen. Ships equipped with the E-2 multi-head disseminator and A-4C aircraft equipped with Aero 14B spray tanks released live pathogenic agents in nine aerial and four surface trials in phase B of the test series from February 12 to March 15, 1965 and in four aerial trials in phase D of the test series from March 22 to April 3, 1965. According to Project SHAD veteran Jack Alderson who commanded the Army tugs, area three at Johnston Atoll was located at the most downwind part of the island and consisted of an collapsible Nissen hut to be used for weapons preparation and some communications. In 1970, Congress redefined the island's military mission as the storage and destruction of chemical weapons. The United States Army leased 41 acres (17 ha) on the Atoll to store chemical weapons held in Okinawa, Japan. Johnston Atoll became a chemical weapons storage site in 1971 holding about 6.6 percent of the U.S. military chemical weapon arsenal. The chemical weapons were brought from Okinawa under Operation Red Hat with the re-deployment of the 267th Chemical Company and consisted of rockets, mines, artillery projectiles, and bulk 1-ton containers filled with Sarin, Agent VX, vomiting agent, and blister agent such as mustard gas. Chemical weapons from West Germany and World War II era weapons from the Solomon Islands were also stored on the island after 1990. Chemical agents were stored in the high security Red Hat Storage Area (RHSA) which included hardened igloos in the weapon storage area, the Red Hat building (#850), two Red Hat hazardous waste warehouses (#851 and #852), an open storage area, and security entrances and guard towers. Some of the other weapons stored at the site were shipped from U.S. stockpiles in West Germany in 1990. These shipments followed a 1986 agreement between the U.S. and West Germany to move the munitions. Merchant ships carrying the munitions left Germany under Operation Golden Python and Operation Steel Box in October 1990 and arrived at Johnston Island November 6, 1990. Although the ships were unloaded within nine days, the unpacking and storing of munitions continued into 1991. The remainder of the chemical weapons was a small number of World War II era weapons shipped from the Solomon Islands. Agent Orange was brought to Johnston Atoll from South Vietnam and Gulfport, Mississippi in 1972 under Operation Pacer IVY and stored on the northwest corner of the island known as the Herbicide Orange Storage site but dubbed the "Agent Orange Yard". The Agent Orange was eventually destroyed during Operation Pacer HO on the Dutch incineration ship MT Vulcanus in the Summer of 1977. [citation needed] The U.S. Environmental Protection Agency (EPA) reported that 1,800,000 gallons of Herbicide Orange were stored at Johnston Island in the Pacific and that an additional 480,000 gallons stored at Gulfport, Mississippi was brought to Johnston Atoll for destruction. Leaking barrels during the storage and spills during re-drumming operations contaminated both the storage area and the lagoon with herbicide residue and its toxic contaminant 2,3,7,8-Tetrachlorodibenzodioxin. The Army's Johnston Atoll Chemical Agent Disposal System (JACADS) was the first full-scale chemical weapons disposal facility. Built to incinerate chemical munitions on the island, planning started in 1981, construction began in 1985, and was completed five years later. Following completion of construction and facility characterization, JACADS began operational verification testing (OVT) in June 1990. From 1990 until 1993, the Army conducted four planned periods of Operational Verification Testing (OVT), required by Public Law 100-456. OVT was completed in March 1993, having demonstrated that the reverse assembly incineration technology was effective and that JACADS operations met all environmental parameters. The OVT process enabled the Army to gain critical insight into the factors that establish a safe and effective rate of destruction for all munitions and agent types. Only after this critical testing period did the Army proceed with full-scale disposal operations at JACADS. Transition to full-scale operations started in May 1993 but the facility did not begin full-scale operations until August 1993. In 2003, structures and facilities, including those used in JACADS, were removed, and the runway was marked closed. The last flight out for official personnel was June 15, 2004. After this date, the base was completely deserted, with the only structures left standing being the Joint Operations Center (JOC) building at the east end of the runway, chemical bunkers in the weapon storage area and at least one Quonset hut. Built in 1964, the JOC is a four-floor concrete and steel administration building for the island that has no windows and was built to withstand a category IV tropical cyclone as well as atmospheric nuclear tests. The building remains standing but was gutted entirely in 2004, during an asbestos abatement project. All doors of the JOC except one have been welded shut. The ground floor has a side building attached which served as a facility for decontamination that contained three long snaking corridors and 55 shower heads one could walk through during decontamination. Rows of bunkers in the Red Hat Storage Area remain intact; however, an agreement was established between the U.S. Army and EPA Region IX on August 21, 2003, that the Munitions Demilitarization Building (MDB) at JACADS would be demolished and the bunkers in the RHSA used for disposal of construction rubble and debris. After placement of the debris inside the bunkers, they were secured and the entries blocked with a concrete block barrier (a.k.a. King Tut Block) to prevent access to the bunker interior. Over the years, leaks of Agent Orange as well as chemical weapon leaks in the weapon storage area occurred where caustic chemicals such as sodium hydroxide were used to mitigate toxic agents during cleanup. Larger spills of nerve and mustard agent within the MCD at JACADS also took place. Small releases of chemical weapon components from JACADS were cited by the EPA. Multiple studies of the Johnston Atoll environment and ecology have been conducted and the Atoll is likely the most studied island in the Pacific. The atoll was placed up for auction via the U.S. General Services Administration (GSA) in 2005 before it was withdrawn. The stripped Johnston Island was briefly offered for sale with several deed restrictions in 2005 as a "residence or vacation getaway," with potential usage for "eco-tourism" by the GSA's Office of Real Property Utilization and Disposal. The proposed sale included the unique postal zip code 96558, formerly assigned to the Armed Forces in the Pacific. The proposed sale did not include running water, electricity, or activation of the closed runway. The details of the offering were outlined on GSA's website and in a newsletter of the Center for Land Use Interpretation as unusual real estate listing # 6384, Johnston Island. On August 22, 2006, Johnston Island was struck by Hurricane Ioke. The eastern eye-wall passed directly over the atoll, with winds exceeding 100 mph (160 km/h). Twelve people were on the island when the hurricane struck, part of a crew sent to the island to deliver a USAF contractor who sampled groundwater contamination levels. All 12 survived and one wrote a first hand account of taking shelter from the storm in the JOC building. On December 9, 2007, the United States Coast Guard swept the runway at Johnston Island of debris and used the runway in the removal and rescue of an ill Taiwanese fisherman to Oahu, Hawaii. The fisherman was transferred from the Taiwanese fishing vessel Sheng Yi Tsai No. 166 to the Coast Guard buoy tender Kukui on December 6, 2007. The fisherman was transported to the island, and then picked up by a Coast Guard HC-130 Hercules rescue plane from Kodiak, Alaska. In 2010, a Fish and Wildlife survey team identified a swarm of Anoplolepis ants that had invaded the island. The crazy ants are particularly destructive to the native wildlife, and needed to be eradicated. The "Crazy Ant Strike Team" project was led by the U.S. Fish and Wildlife Service, who achieved a 99% reduction in ant numbers by 2013 and who continue to work towards a full eradication of the species from the atoll. The team camped in a bunker that was previously used as a fallout shelter and office. The primary means of transportation to this island was the airport which had a paved military runway or alternatively by ship via a pier and ship channel through the atoll's coral reef system. The islands were wired with 13 outgoing and 10 incoming commercial telephone lines, a 60-channel submarine cable, 22 DSN circuits by satellite, an Autodin with standard remote terminal, a digital telephone switch, the Military Affiliated Radio System (MARS station), a UHF/VHF air-ground radio, and a link to the Pacific Consolidated Telecommunications Network (PCTN) satellite. Amateur radio operators occasionally transmitted from the island, using the KH3 call-sign prefix. The United States Undersea Cable Corporation was awarded contracts to lay underwater cable in the Pacific. A cable known as "Wet Wash C" was laid in 1966 between Makua, Oahu, Hawaii and the Johnston Island Air Force Base. USNS Neptune surveyed the route and laid 769 nautical miles (1,424 km; 885 mi) of cable and 45 repeaters. These cables were manufactured by the Simplex Wire and Cable Company with the repeaters being supplied by Felten and Guilleaume. In 1993 a satellite communication ground station was added to augment the atoll's communications capability. About 300 species of fish have been recorded from the reefs and inshore waters of the atoll. It is also visited by green turtles and Hawaiian monk seals. Seabird species recorded as breeding on the atoll include Bulwer's petrel, wedge-tailed shearwater, Christmas shearwater, white-tailed tropicbird, red-tailed tropicbird, brown booby, red-footed booby, masked booby, great frigatebird, spectacled tern, sooty tern, brown noddy, black noddy and white tern. It is visited by migratory shorebirds, including the Pacific golden plover, wandering tattler, bristle-thighed curlew, ruddy turnstone and sanderling. Possibilities of humpback whales using the waters as breeding ground has been suggested albeit in small numbers and irregular occurrences so far. Many other cetaceans possibly migrate through the area, but the species being most notably confirmed is Cuvier's beaked whales. Red Hat Storage Area 16°43′24″N 169°32′21″W﻿ / ﻿16.7234°N 169.5393°W﻿ / 16.7234; -169.5393﻿ (Red Hat Storage Area) a.k.a. the "Red Hat Area"
^ a b c d e f "United States Pacific Island Wildlife Refuges". Retrieved September 17, 2014. ^ "Fish and Wildlife Service-Johnston Atoll, About the Refuge". Retrieved September 17, 2014. ^ "JOHNSTON ISLAND, um (914320)". wrcc.dri.edu. Retrieved March 21, 2018. ^ Maddish. "The Voice of Vexillology, Flags & Heraldry:Johnston Island Flag". Retrieved September 17, 2014. ^ Alexander George Findlay (1851). A directory for the navigation of the Pacific ocean. pp. 1106–. ^ U.S. insular areas application of the U.S. Constitution : report to the chairman, Committee on Resources, House of Representatives. DIANE Publishing. pp. 51–. ISBN 978-1-4289-7935-2. ^ a b c d e f "Johnston Island Memories Site". Retrieved September 17, 2014. ^ Thrum, Thos. G. (1923). "N. W. Pacific Exploration". Hawaiian Almanac and Annual for 1924. Honolulu, Hawaii. pp. 91–94. ^ "JOHNSTON ISLAND". Office of Insular Affairs. January 11, 2007. Archived from the original on March 14, 2012. Retrieved March 4, 2012. ^ Roosevelt, Franklin D. (1940-07-25). U.S. Presidential Proclamation 2416 - Changing the Names of Certain Federal Wildlife Refuges . Federal Register – via Wikisource. Published in 5 FR 2677, 54 Stat. 2717. ^ "JACADS Publications-U.S. Army's Chemical Materials Activity". Archived from the original on August 31, 2015. Retrieved September 17, 2014. ^ a b c d e f g h "Phase II Environmental Baseline Survey, Johnston Atoll, Appendix B" (PDF). Archived from the original (PDF) on April 21, 2013. Retrieved August 19, 2012. ^ Bush, George W. (January 6, 2009). "Establishment of the Pacific Remote Islands Marine National Monument: A Proclamation by the President of the United States of America". White House. Retrieved March 4, 2012. ^ "Johnston Atoll National Wildlife Refuge". U.S. Fish and Wildlife Service. Retrieved March 4, 2012. ^ "JACADS Timeline". U.S. Army Chemical Materials Activity. Archived from the original on April 14, 2012. Retrieved August 14, 2017. ^ a b c ""Cleaning up Johnston Atoll", APSNet Special Reports, November 25, 2005". Nautilus Institute for Security and Sustainability. Retrieved September 17, 2014. ^ a b c "Johnston Atoll". GlobalSecurity.org. July 24, 2011. Retrieved August 14, 2017. ^ "Defense's Nuclear Agency, 1947–1997" (PDF). DTRA History Series. 2002. Archived from the original (PDF) on June 11, 2011. Retrieved October 9, 2010. ^ "Aviation Safety Network Accident description 19420526". May 26, 1942. Retrieved September 17, 2014. ^ "Aviation Safety Network Accident description 19490327". March 27, 1949. Retrieved September 17, 2014. ^ Norman Polmar (2004). The Enola Gay. Potomac Books, Inc. pp. 20–. ISBN 978-1-59797-506-3. ^ a b "Abandoned & Little-Known Airfields: Western Pacific Islands". Retrieved September 17, 2014. ^ "Patrick J. Finneran,(Former) Executive Director USS INDIANAPOLIS CA-35 Survivors Memorial Organization, Inc". Retrieved September 17, 2014. ^ "Loran Station Johnson Island". www.loran-history.info. Retrieved April 14, 2018. ^ "History of Johnston Atoll Timeline". Retrieved September 17, 2014. ^ "Astronautix Web site, Johnston Island". Retrieved September 17, 2014. ^ a b "Air Force Space and Missile Museum-Johnston Island". Retrieved September 17, 2014. ^ "404 Error" (PDF). www.dtic.mil. ^ a b Kakesako, Gregg K. "The Army's disarming site Johnston Atoll once again soon will be strictly for the birds". Honolulu Star-Bulletin. Retrieved June 26, 2012. ^ a b Curtis Peebles (1 June 1997). High Frontier: The U.S. Air Force and the Military Space Program. DIANE Publishing. pp. 39–. ISBN 978-0-7881-4800-2. ^ Jonathan McDowell. "The history of spaceflight: SAMOS". Planet4589.org. Retrieved June 9, 2007. ^ Gerald K. Haines (1997). "Development of the GAMBIT and HEXAGON Satellite Reconnaissance Systems" (PDF). National Reconnaissance Office. Archived from the original (PDF) on July 13, 2014. Retrieved December 30, 2013. ^ "HEXAGON (KH-9) Mapping Camera Program and Evolution" (PDF). National Reconnaissance Office. Archived from the original (PDF) on December 2, 2016. Retrieved December 30, 2013. ^ "HISTORICAL CHRONOLOGY 1 July 1961 – 31 December 1961 Weapon System 117L" (PDF). nro.gov. National Reconnaissance Office. Archived from the original (PDF) on May 25, 2017. Retrieved April 14, 2018. ^ "Declassified U.S. Nuclear Test Film #65". YouTube. Retrieved September 17, 2014. ^ Ed Regis (1 October 2000). The Biology of Doom: America's Secret Germ Warfare Project. Henry Holt and Company. pp. 41–. ISBN 978-0-8050-5765-2. ^ a b "Deseret Test Center, Project SHAD, Shady Grove revised fact sheet". Archived from the original on December 25, 2013. Retrieved December 24, 2013. ^ a b "A Success Story, JACADS -U.S. Army's Chemical Materials Activity". Archived from the original on September 15, 2012. Retrieved August 11, 2012. ^ The Oceans and Environmental Security: Shared U.S. and Russian Perspectives. Retrieved September 17, 2014. ^ "A Success Story: Johnston Atoll Chemical Agent Disposal System". Archived from the original on September 15, 2012. Retrieved August 11, 2012. ^ Bourns, Charles T. (March 1, 1978). "Final report of the Federal Task Force for Hazardous Materials Management of the Western Federal Regional Council Region IX, August 1, 1973 to June 30, 1977" (PDF). US Environmental Protection Agency. Retrieved February 16, 2013. ^ Young, Alvin Lee (2009). The History, Use, Disposition and Environmental Fate of Agent Orange. Springer. ISBN 978-0-387-87486-9. ^ Update), Committee to Review the Health Effects in Vietnam Veterans of Exposure to Herbicides (Ninth Biennial; Populations, Board on the Health of Select; Medicine, Institute of (March 6, 2014). "Exposure to the Herbicides Used in Vietnam". National Academies Press (US). Retrieved April 14, 2018 – via www.ncbi.nlm.nih.gov. ^ "Mark in the Pacific – The Last Day". Archived from the original on August 16, 2012. Retrieved April 7, 2012. ^ Lobel, Lisa K (2011). "Toxic Caviar: Using Fish Embryos to Monitor Contaminant Impacts". In: Pollock NW, ed. Diving for Science 2011. Proceedings of the American Academy of Underwater Sciences 30th Symposium. Dauphin Island, AL: AAUS. Retrieved March 8, 2013. ^ TenBruggencate, Jan (March 3, 2002). "Feds want to bury Johnston Island's radioactive matter". Honolulu Advertiser. Archived from the original on April 6, 2005. Retrieved January 9, 2014. ^ "A Kaua'i Blog-Island for sale". Retrieved September 17, 2014. ^ "Unusual Real Estate Listing # 6384-Johnston Island". Archived from the original on June 29, 2006. Retrieved September 17, 2014. ^ "Coast Guard Successful on Risky Medevac from Johnston Island". Archived from the original on July 17, 2011. Retrieved September 17, 2014. ^ "Blog Post from SV Sand Dollar". Archived from the original on March 8, 2012. Retrieved April 7, 2012. ^ "Johnston Atoll National Wildlife Refuge Pacific Remote Islands Marine National Monument Volunteer Powerpoint" (PDF). Fish And Wildlife Service. ^ "Yellow Crazy Ant Eradication, Johnston Atoll Update, May 2011" (PDF). Project Fish and Wildlife Service. Archived from the original (PDF) on June 17, 2012. Retrieved April 7, 2012. ^ "Mammals - Johnston Atoll - U.S. Fish and Wildlife Service". www.fws.gov. Wikimedia Commons has media related to Johnston Atoll. "Cleaning up Johnston Atoll" (2005), Plutonium contamination on the Island.